This week McLaren sporting director Gil de Ferran announced a new electric car series that will race in the Arctic, the Himalayas, the Sahara desert, the Amazon rainforest and islands in the Indian Ocean. It is a five-stage series that will see the drivers racing off-road. 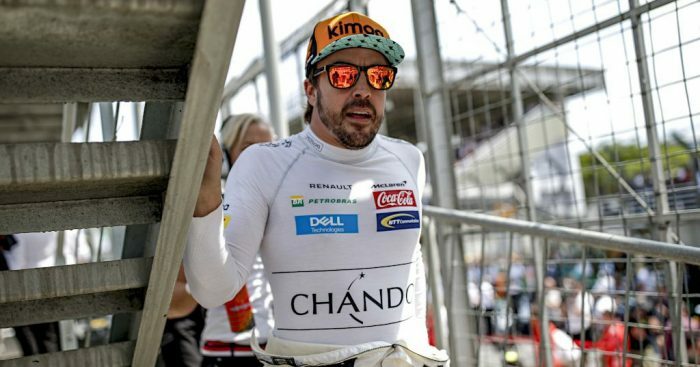 As yet none of the drivers involved have been named by De Ferran, who is spearheading the project, hopes to bring former McLaren driver Alonso into the mix – and maybe even Hamilton. At the London launch of Extreme E, De Ferran told the Daily Mail: “I was texting him (Alonso) about it this morning. “Fernando would certainly add a lot. He’s very famous, he’s fun, he’s a great driver and it would be great to have someone of his notoriety and character in our event. “This appeals to those that love challenges, have a sense of adventure and an environmental conscience. The drivers will race electric SUVs with the series filmed and broadcast as a documentary. “Extreme E offers a unique sport, adventure and entertainment concept that has never been seen or done before,” added De Ferran.